VHS Cake Tutorial Every 80-90's Kid Needs! / Hey, EEP! VHS Cake Tutorial Every 80-90's Kid Needs! You know my philosophy on cake decorating, if it requires too many specialty pans and other crap it's not worth it. 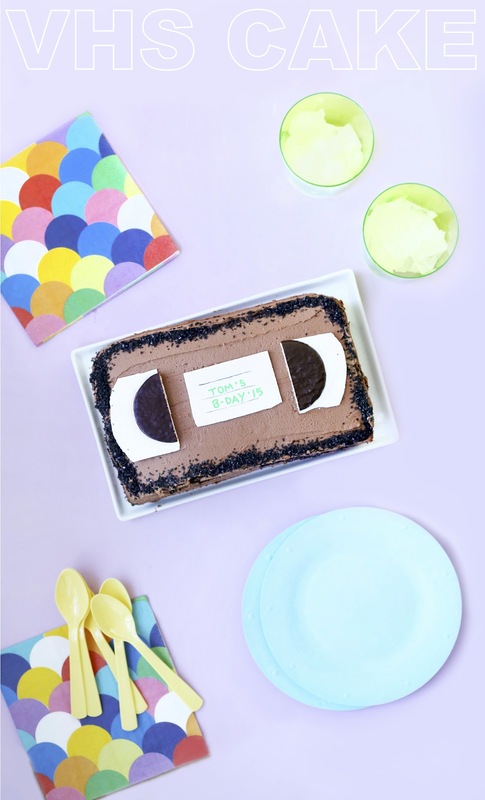 For this VHS Cake project, all you need is a regular 9 x 13 pan and my most decadent chocolate cake recipe (with one very special secret ingredient)! Ok, I'll spill! It's mayonnaise. ACK! I know, hold your groans. What's mayonnaise? Eggs and oil; that's cake-making gold! Trust me, if you're someone who loves super-moist chocolate cake that's almost verging on sticky (you know that sounds good!!!!!) this is the method for you. Two other helpers: White candy melts and food color markers, both of which you can find in a regular craft store like Michael's or Jo-Ann. Don't feel like making a special trip? You can make the accent pieces using card-stock and a non-toxic marker. Just, you know, pull 'em off before you slice into dessert. 1. Make the cake: Preheat the oven to 350˚F. 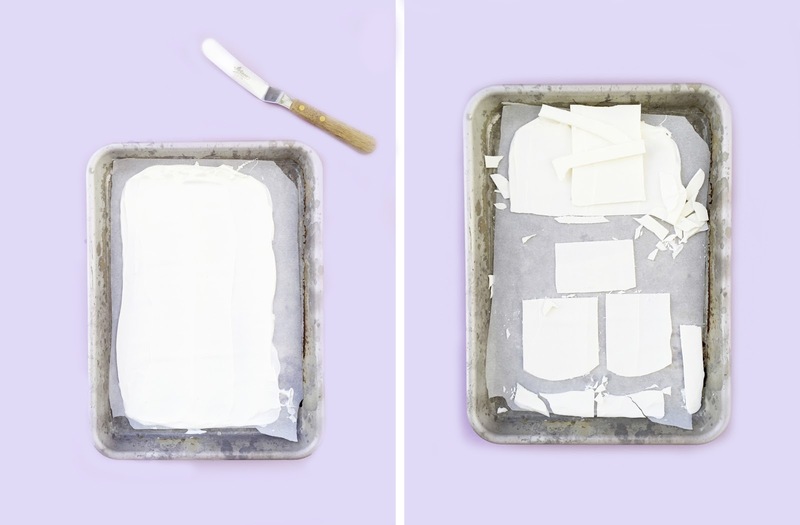 Coat a 9-by-13-inch baking pan with baking spray; line bottom with parchment and coat with baking spray again. 2. Whisk the flour, cocoa, baking soda, salt and baking powder in a bowl. 3. 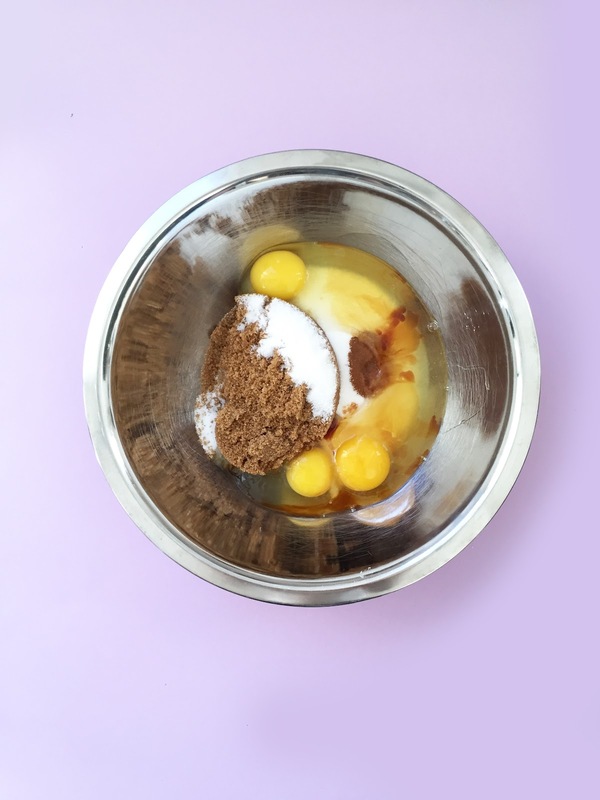 In another bowl, beat the eggs, both sugars and vanilla until creamy and smooth. Stir in the chocolate until no streaks show, then stir in the mayonnaise until combined. Combine the water and espresso in a liquid measuring cup. 4. Add the flour mixture to the sugar mixture in three additions, alternating with the water, beginning and ending with the flour mixture, until batter is smooth. Pour into the prepared pan and bake until cake springs back in the center, about 35 minutes. Let cool in the pan 5 minutes, then invert onto rack and cool completely. 5. 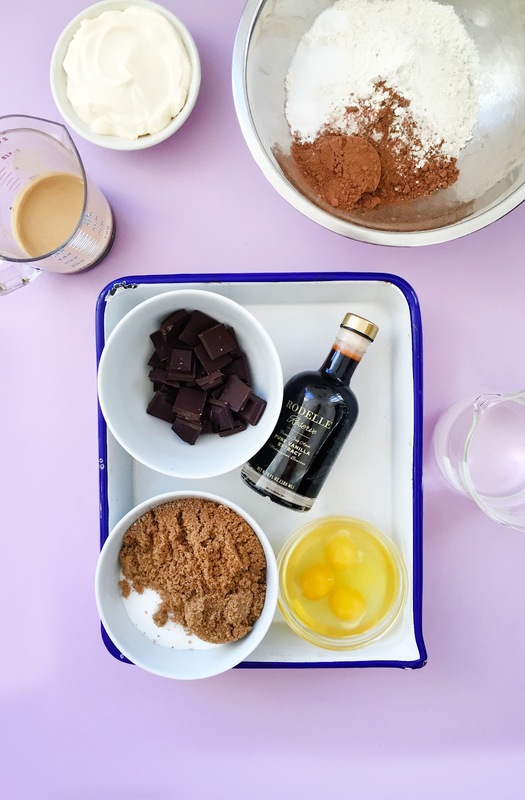 Meanwhile, make the frosting: Beat the butter and confectioners' sugar with a mixer until combined. Add the chocolate and beat, scraping down the bowl as needed, until smooth. Beat in the vanilla and salt. Add more confectioners' sugar to thicken, if needed. If too thick, add some milk! 6. 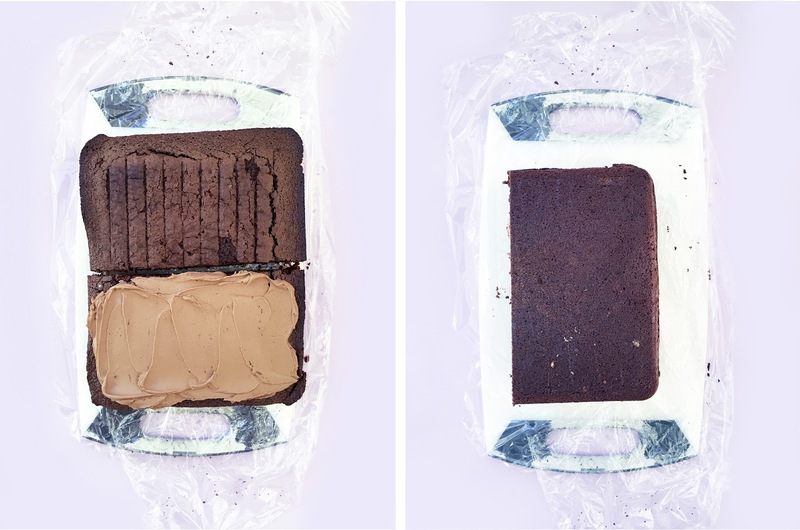 Cut the cooled cake in half width-wise. Spread some frosting on top of one half; top with the remaining half. Cover the entire cake with a thin layer of frosting (this is your crumb coat) and refrigerate until firm, about 30 minutes. 7. Meanwhile, spread the candy melts on a parchment-lined rimmed baking sheet in an even layer using an offset spatula. Refrigerate until hard, about 10 minutes. Cut out one rectangle for the label and two rectangles (each with 1 curved short end). Write message on "label" using food coloring pen. 8. Cover the cake with the remaining frosting, shaping right-angles at the edges to create a clean VHS shape. Place label at center of the VHS; place the two rectangles (curved-edges out) on other side of the label and top with cookie halves. Sprinkle edges with black sanding sugar.